© Sophia Vancouver. All rights reserved. 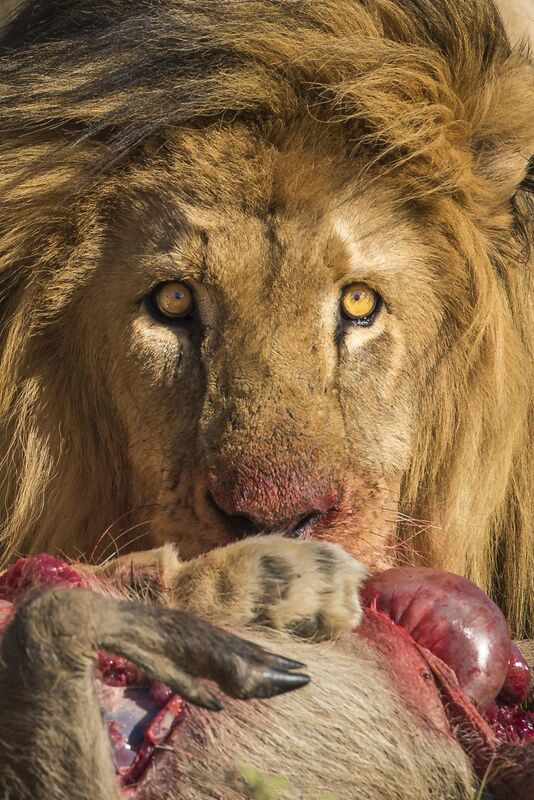 A male lion eats a freshly caught warthog on the South African Safari. Date Uploaded: Sept. 8, 2017, 9:57 p.m.